20.1 MP Large 1" High-sensitivity MOS Sensor with up to 12800 ISO for excellent low-light performance. 5-Axis HYBRID O.I.S.+ Active hand-shake suppression for both photo and video recording. Live View Finder Excellent viewing clarity even in bright light; 0.21-inch 2,330K-dot equiv. LVF with high magnification ratio of approximately 1.45x / 0.53x (35mm camera equivalent). LEICA Optics: Superb 15X LEICA DC Vario-Elmar Lens (35mm camera equivalent: 24-360mm). 4K Technology: 4K 30p video, 4K Live Crop, plus 4K PHOTO burst to capture unmissable moments. 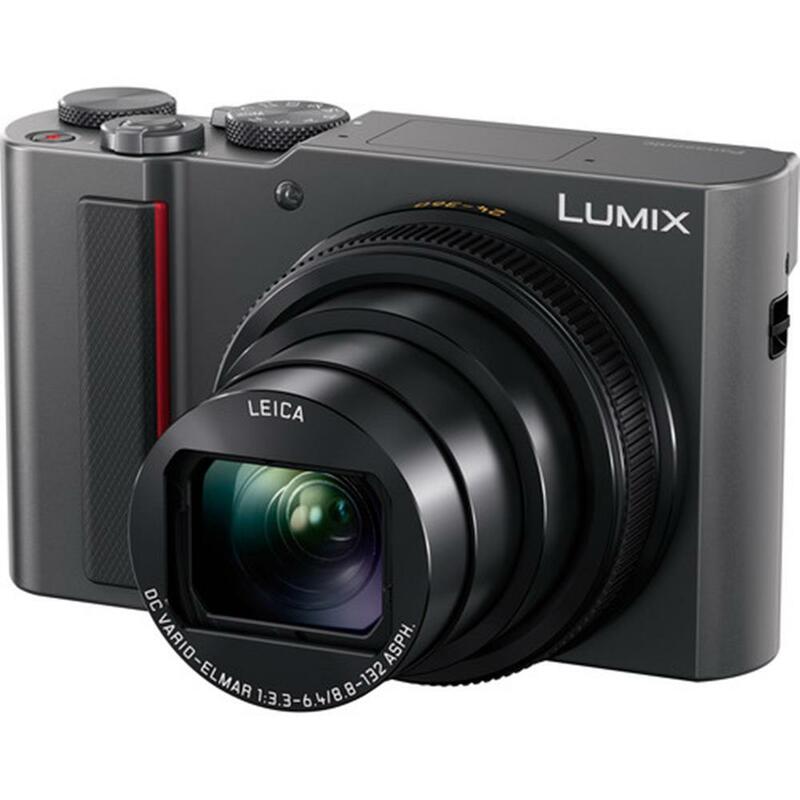 The LUMIX ZS200 includes a 24mm ultra wide angle LEICA DC VARIO-ELMAR lens offers a powerful 15X optical zoom (35mm camera equivalent: 24-360mm) and 5-Axis HYBRID O.I.S.+ (Optical Image Stabilizer Plus) to provide a versatile angle of view while suppressing hand-shake in both photo and video recording. It also enables stunning macro shots as close as 3cm. For even more creative photography, the LUMIX ZS200 integrates a new L.Monochrome mode in Photo Style, to create an impressive monochrome image with rich gradation like that of black-and-white film. 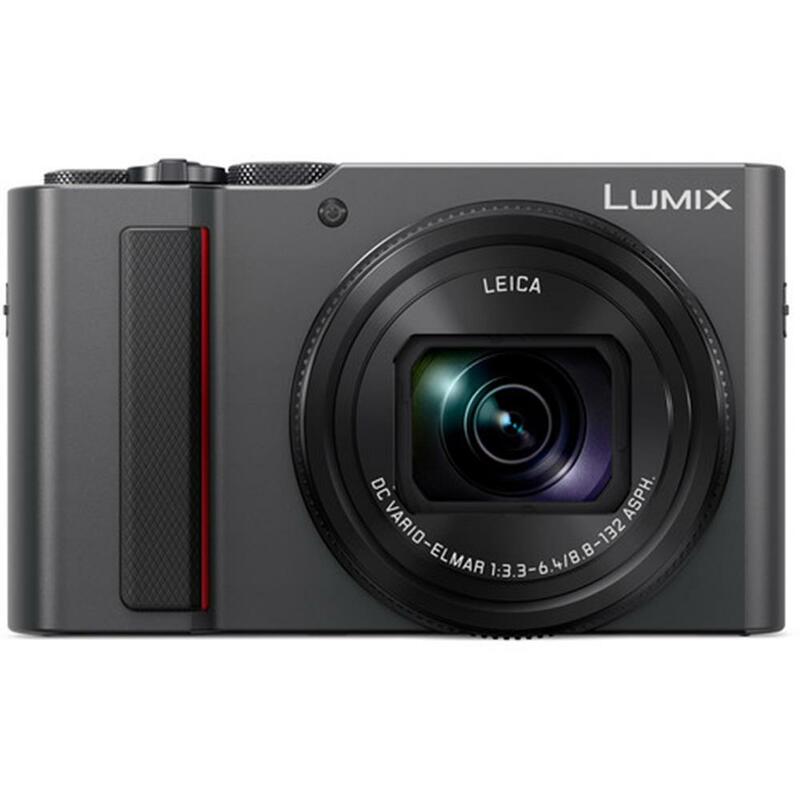 The LUMIX ZS200 Venus Engine enables the high-quality image capture and high-speed signal processing required for 4K video recording. Enjoy superior noise reduction and high ISO while shooting at max. 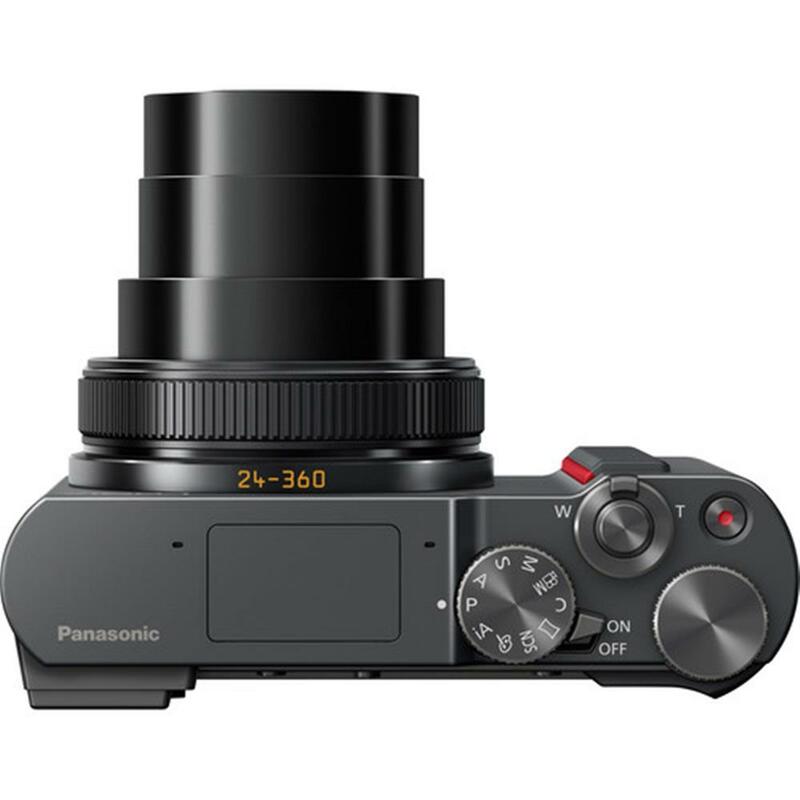 ISO12800 / Extended ISO25600 with dramatically improved sensitivity, gradation performance, resolution and colour reproduction. Enjoy long battery life with approximately 1.23 times* the previous ZS100 battery life with the rear monitor and approximately 1.35 times* the ZS100 with the LVF eco 30fps setting to shoot without hesitation while travelling. 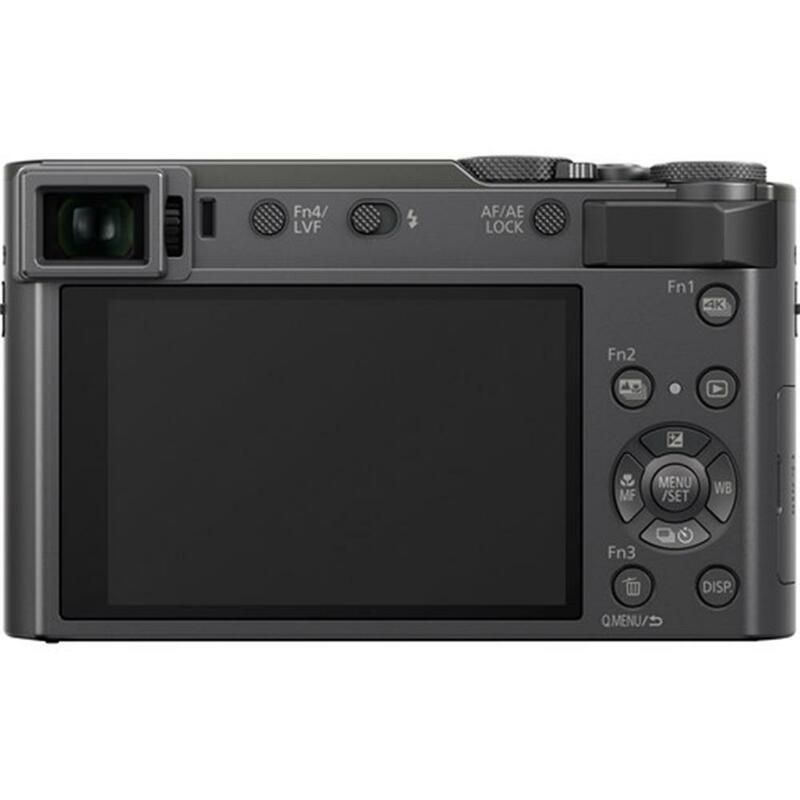 5-Axis HYBRID O.I.S.+ (Optical Image Stabilizer Plus) detects and compensates for the camera's 5 types of movement to suppress blurring. The Level Shot Function detects the image's horizontal line and maintains it even if the camera is tilted.